Gravity is a relatively very weak force. The electric Coulomb force between a proton and an electron is of the order of 1039 (that’s 1 with 39 zeros after it) times stronger than the gravitational force between them. We can get a hint of the relative strength of electromagnetic forces when we use a small magnet to pick up an iron object, say, a ball bearing. Even though the whole of Earth’s gravitation attraction is acting upon the ball bearing, the magnet overcomes this easily when close enough to the ball bearing. In space, gravity only becomes significant in those places where the electromagnetic forces are shielded or neutralized. 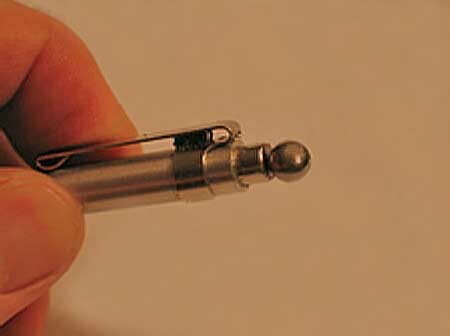 Small magnet attracts and holds a ball bearing against Earth gravity’s pull. For spherical masses and charges, both the gravity force and the electric Coulomb force vary inversely with the square of the distance and so decrease rapidly with distance. For other geometries/configurations, the forces decrease more slowly with distance. For example, the force between two relatively long and thin electric currents moving parallel to each other varies inversely with the first power of the distance between them. Electric currents can transport energy over huge distances before using that energy to create some detectable result, just like we use energy from a distant power station to boil a kettle in our kitchen. This means that, over longer distances, electromagnetic forces and electric currents together can be much more effective than either the puny force of gravity or even the stronger electrostatic Coulomb force. Remember that, just in order to explain the behavior of the matter we can detect, the Gravity Model needs to imagine twenty-four times more matter than we can see, in special locations, and of a special invisible type. It seems much more reasonable to investigate whether the known physics of electromagnetic forces and electric currents can bring about the observed effects instead of having to invent what may not exist. 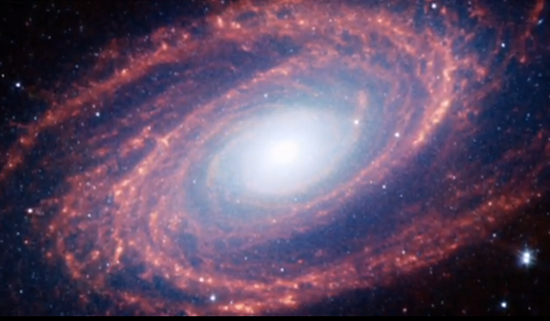 Until about 100 years ago, space was thought to be empty. The words “vacuum” and “emptiness” were interchangeable. But probes have found that space contains atoms, dust, ions, and electrons. Although the density of matter in space is very low, it is not zero. Therefore, space is not a vacuum in the conventional sense of there being “nothing there at all”. 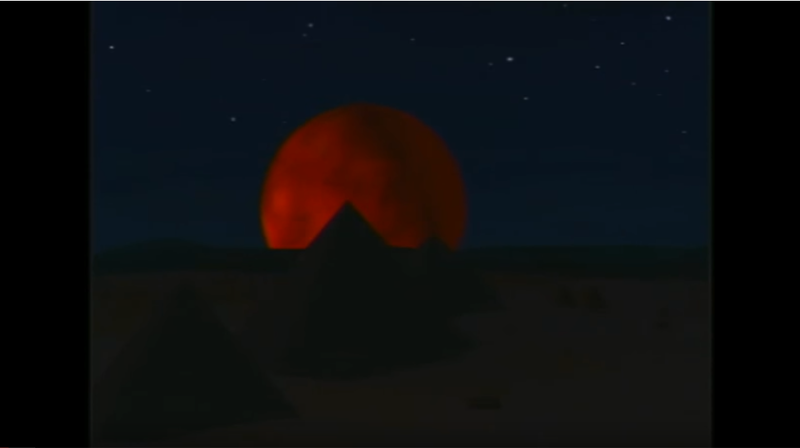 For example, the Solar “wind” is known to be a flow of charged particles coming from the Sun and sweeping round the Earth, ultimately causing visible effects like the Northern (and Southern) Lights. The dust particles in space are thought to be 2 to 200 nanometers in size, and many of them are also electrically charged, along with the ions and electrons. This mixture of neutral and charged matter is called plasma, and it is suffused with electromagnetic fields. We will discuss plasma and its unique interactions with electromagnetic fields in more detail in Chapter 3. The “empty” spaces between planets or stars or galaxies are very different from what astronomers assumed in the earlier part of the 20th century. The existence of charged particles and electromagnetic fields in space is accepted in both the Gravity Model and the Electric Model. But the emphasis placed on them and their behavior is one distinctive difference between the models. We will therefore discuss magnetic fields next. What do we mean by the terms “magnetic field” and “magnetic field lines”? In order to understand the concept of a field, let’s start with a more familiar example: gravity. We know that gravity is a force of attraction between bodies or particles having mass. We say that the Earth’s gravity is all around us here on the surface of the Earth and that the Earth’s gravity extends out into space. We can express the same idea more economically by saying that the Earth has a gravitational field which extends into space in all directions. In other words, a gravitational field is a region where a gravitational force of attraction will be exerted between bodies with mass. Similarly, a magnetic field is a region in which a magnetic force would act on a magnetized or charged body. (We will look at the origin of magnetic fields later). The effect of the magnetic force is most obvious on ferromagnetic materials. 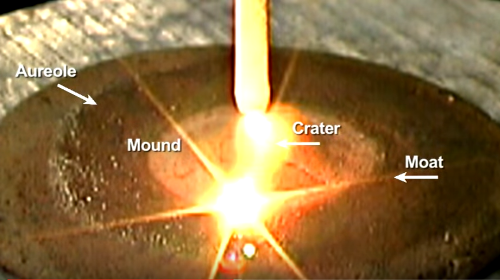 For example, iron filings placed on a surface in a magnetic field align themselves in the direction of the field like compass needles. Because the iron filings tend to align themselves south pole to north pole, the pattern they make could be drawn as a series of concentric lines, which would indicate the direction and, indirectly, strength of the field at any point. Therefore magnetic field lines are one convenient way to represent the direction of the field, and serve as guiding centers for trajectories of charged particles moving in the field (ref. Fundamentals of Plasma Physics, Cambridge University Press, 2006, Paul Bellan, Ph.D.). It is important to remember that field lines do not exist as physical objects. Each iron filing in a magnetic field is acting like a compass: you could move it over a bit and it would still point magnetic north-south from its new position. Similarly, a plumb bob (a string with a weight at one end) will indicate the local direction of the gravitational field. Lines drawn longitudinally through a series of plumb bobs would make a set of gravitational field lines. Such lines do not really exist; they are just a convenient, imaginary means of visualizing or depicting the direction of force applied by the field. See Appendix I for more discussion of this subject, or here, at Fizzics Fizzle. A field line does not necessarily indicate the direction of the force exerted by whatever is causing the field. Field lines may be drawn to indicate direction or polarity of a force, or may be drawn as contours of equal intensities of a force, in the same way as contour lines on a map connect points of equal elevation above, say, sea level. Often, around 3-dimensional bodies with magnetic fields, imaginary surfaces are used to represent the area of equal force, instead of lines. By consensus, the definition of the direction of a magnetic field at some point is from the north to the south pole. In a gravitational field, one could choose to draw contour lines of equal gravitational force instead of the lines of the direction of the force. These lines of equal gravitational force would vary with height (that is, with distance from the center of the body), rather like contour lines on a map. To find the direction of the force using these elevation contour lines, one would have to work out which way a body would move. Placed on the side of a hill, a stone rolls downhill, across the contours. In other words the gravitational force is perpendicular to the field lines of equal gravitational force. Magnetic fields are more complicated than gravity in that they can either attract or repel. Two permanent bar magnets with their opposite ends (opposite “poles”, or N-S) facing each other will attract each other along the direction indicated by the field lines of the combined field from them both (see image above). 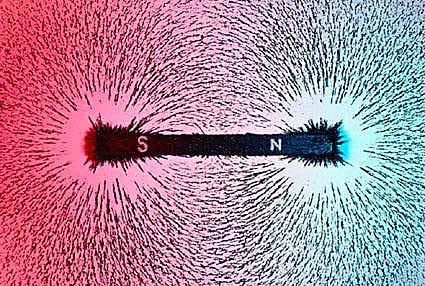 Magnets with the same polarity (N-N or S-S) repel one another along the same direction. Magnetic fields also exert forces on charged particles that are in motion. Because the force that the charged particle experiences is at right angles to both the magnetic field line and the particle’s direction, a charged particle moving across a magnetic field is made to change direction (i.e. to accelerate) by the action of the field. Its speed remains unchanged to conserve kinetic energy. 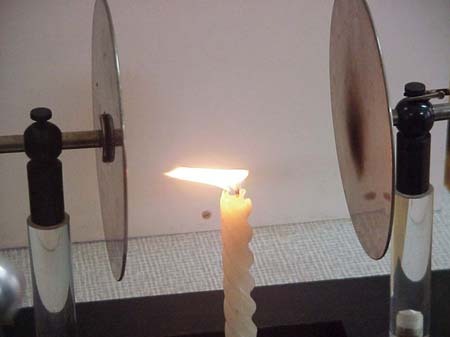 The following image shows what happens to an electron beam in a vacuum tube before and after a magnetic field is applied, in a lab demonstration. The magnetic force on a charged particle in motion is analogous to the gyroscopic force. A charged particle moving directly along or “with” a magnetic field line won’t experience a force trying to change its direction, just as pushing on a spinning gyroscope directly along its axis of rotation will not cause it to turn or “precess”. Even though the force on different charged particles varies, the concept of visualizing the direction of the magnetic field as a set of imaginary field lines is useful because the direction of the force on any one material, such as a moving charged particle, can be worked out from the field direction. There is only one way that magnetic fields can be generated: by moving electric charges. In permanent magnets, the fields are generated by electrons spinning around the nuclei of the atoms. A strong magnet is created when all the electrons orbiting the nuclei have spins that are aligned, creating a powerful combined force. If the magnet is heated to its Curie temperature, the thermal motion of the atoms breaks down the orderly spin alignments, greatly reducing the net magnetic field. In a metal wire carrying a current, the magnetic field is generated by electrons moving down the length of the wire. A more detailed introduction to the complex subject of exchange coupling and ferromagnetism can be found here. Either way, any time electric charges move, they generate magnetic fields. Without moving electric charges, magnetic fields cannot exist. Ampère’s Law states that a moving charge generates a magnetic field with circular lines of force, on a plane that is perpendicular to the movement of the charge. Since electric currents made up of moving electric charges can be invisible and difficult to detect at a distance, detecting a magnetic field at a location in space (by well-known methods in astronomy, see below) is a sure sign that it is accompanied by an electric current. If a current flows in a conductor, such as a long straight wire or a plasma filament, then each charged particle in the current will have a small magnetic field around it. 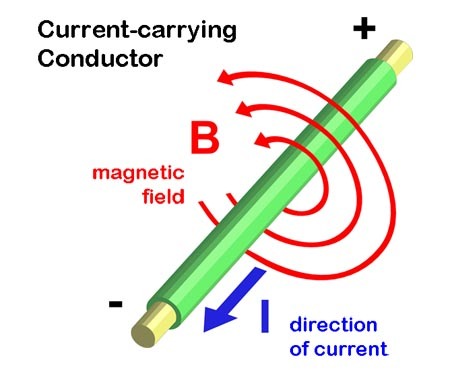 When all the individual small magnetic fields are added together, the result is a continuous magnetic field around the whole length of the conductor. The regions in space around the wire where the field strength is equal (called “equipotential surfaces”) are cylinders concentric with the wire. The question of the origin of magnetic fields in space is one of the key differences between the Gravity Model and the Electric Model. The Gravity Model allows for the existence of magnetic fields in space because they are routinely observed, but they are said to be caused by dynamos inside stars. For most researchers today, neither electric fields nor electric currents in space play any significant part in generating magnetic fields. In contrast, the Electric Model, as we shall see in more detail later, argues that magnetic fields must be generated by the movement of charged particles in space in the same way that magnetic fields are generated by moving charged particles here on Earth. Of course, the Electric Model accepts that stars and planets have magnetic fields, too, evidenced by magnetospheres and other observations. The new insight has been to explain a different origin for these magnetic fields in space if they are not created by dynamos in stars. Since the start of the space age, spacecraft have been able to measure magnetic fields in the solar system using instruments on board the spacecraft. We can “see” magnetic fields beyond the range of spacecraft because of the effect that the fields have on light and other radiation passing through them. We can even estimate the strength of the magnetic fields by measuring the amount of that effect. We have known about the Earth’s magnetic field for centuries. We can now detect such fields in space, so the concept of magnetic fields in space is intuitively easy to understand, although astronomers have difficulty in explaining the origination of these magnetic fields. 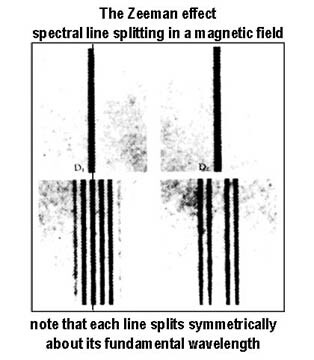 Magnetic fields can be detected at many wavelengths by observing the amount of symmetrical spectrographic emission line or absorption line splitting that the magnetic field induces. This is known as the Zeeman effect, after Dutch physicist and 1902 Nobel laureate, Pieter Zeeman, (1865—1943). 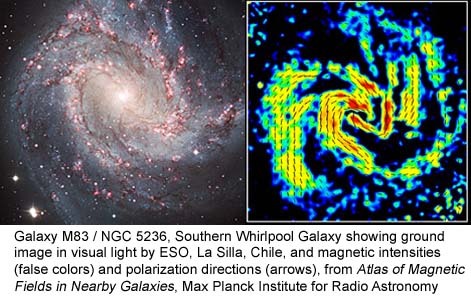 Note in the right image above how closely the field direction aligns with the galactic arms visible in the optical image, left. Another indicator of the presence of magnetic fields is the polarization of synchrotron emission radiated by electrons in magnetic fields, useful at galactic scales. See Beck’s article on Galactic Magnetic Fields, in Scholarpedia, plus Beck and Sherwood’s Atlas of Magnetic Fields in Nearby Galaxies. Measurement of the degree of polarization makes use of the Faraday effect. The Faraday rotation in turn leads to the derivation of the strength of the magnetic field through which the polarized light is passing. The highly instructional paper by Phillip Kronberg et al, Measurement of the Electric Current in a Kpc-Scale Jet, provides a compelling insight into the direct link between the measured Faraday rotation in the powerful “knots” in a large galactic jet, the resultant magnetic field strength, and the electric current present in the jet. Magnetic fields are included in both the Gravity Model and the Electric Model of the Universe. The essential difference is that the Electric Model recognizes that magnetic fields in space always accompany electric currents. We will take up electric fields and currents next. An electric charge has polarity. That is, it is either positive or negative. By agreement, the elementary (smallest) unit of charge is equal to that of an electron (-e) or a proton (+e). Electric charge is quantized; it is always an integer multiple of e.
The fundamental unit of charge is the coulomb (C), where e = 1.60×10-19 coulomb. By taking the inverse of the latter tiny value, one coulomb is 6.25×1018 singly-charged particles. One ampere (A) of electric current is one coulomb per second. A 20A current thus would be 20 C of charge per second, or the passage of 1.25×1020 electrons per second past a fixed point. Every charge has an electric field associated with it. An electric field is similar to a magnetic field in that it is caused by the fundamental force of electromagnetic interaction and its “range” or extent of influence is infinite, or indefinitely large. The electric field surrounding a single charged particle is spherical, like the gravitational acceleration field around a small point mass or a large spherical mass. The electric field around a single positive charge (L) and between two charged plates. Arrows indicate the direction of the force on a positive charge. Note that the same force would be applied in the opposite direction on a negative charge. The strength of an electric field at a point is defined as the force in newtons (N) that would be exerted on a positive test charge of 1 coulomb placed at that point. Like gravity, the force from one charge is inversely proportional to the square of the distance to the test (or any other) charge. 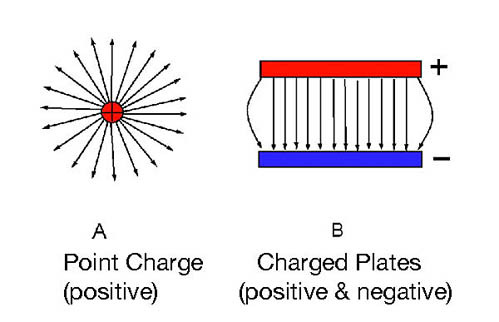 The point in defining a test charge as positive is to consistently define the direction of the force due to one charge acting upon another charge. Since like charges repel and opposites attract, just like magnetic poles, the imaginary electric field lines tend to point away from positive charges and toward negative charges. See a short YouTube video on the electric field here. Here is a user-controlled demonstration of 2 charges and their associated lines of force in this Mathematica application. You may need to download Mathematica Player (just once, and it’s free) from the linked web site to play with the demo. Click on “Download Live Demo”after you install Mathematica Player. You can adjust strength and polarity of charge (+ or -) with the sliders, and drag the charged particles around the screen. Give the field lines time to smooth out between changes. 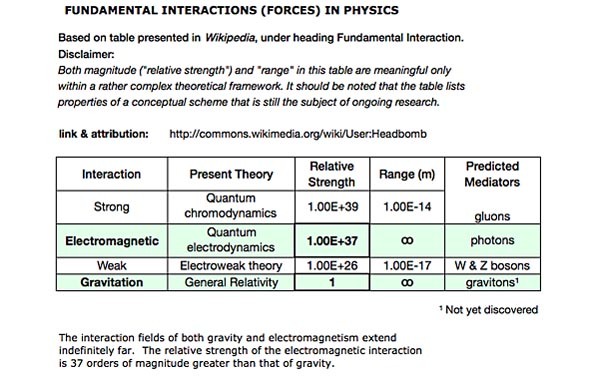 Electromagnetic forces are commonly stronger than gravitational forces on plasma in space. Electromagnetism can be shielded, while gravity can not, so far as is known. The common argument in the standard model is that most of the electrons in one region or body are paired with protons in the nuclei of atoms and molecules, so the net forces of the positive charges and negative charges cancel out so perfectly that “for large bodies gravity can dominate” (link: Wikipedia, Fundamental Interactions, look under the Electromagnetism sub-heading). What is overlooked above is that, with the occasional exception of relatively cool, stable and near-neutral planetary environments like those found here on Earth, most other matter in the Universe consists of plasma; i.e., charged particles and neutral particles moving in a complex symphony of charge separation and the electric and magnetic fields of their own making. Gravity, while always present, is not typically the dominant force. 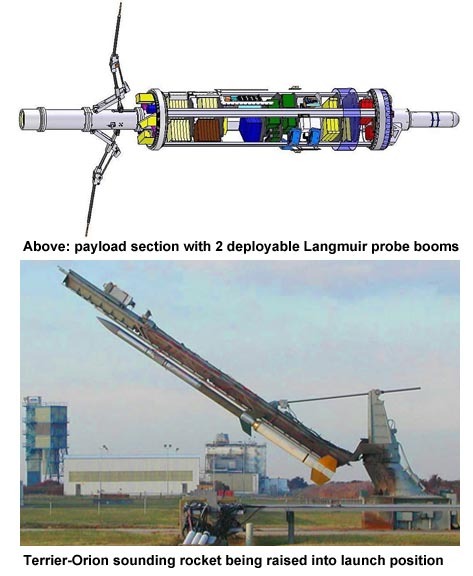 Far from consisting of mostly neutralized charge and weak magnetic and electric fields and their associated weak currents, electric fields and currents in plasma can and often do become very large and powerful in space. The Electric Model holds that phenomena in space such as magnetospheres, Birkeland currents, stars, pulsars, galaxies, galactic and stellar jets, planetary nebulas, “black holes”, energetic particles such as gamma rays and X-rays and more, are fundamentally electric events in plasma physics. 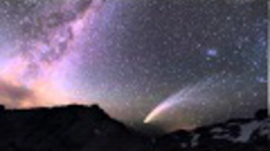 Even the rocky bodies – planets, asteroids, moons and comets, and the gas bodies in a solar system – exist in the heliospheres of their stars, and are not exempt from electromagnetic forces and their effects. Each separate charged particle contributes to the total electric field. The net force at any point in a complex electromagnetic field can be calculated using vectors, if the charges are assumed stationary. If charged particles are moving (and they always are), however, they “create” – are accompanied by – magnetic fields, too, and this changes the magnetic configuration. Changes in a magnetic field in turn create electric fields and thereby affect currents themselves, so fields that start with moving particles represent very complex interactions, feedback loops and messy mathematics. Charges in space may be distributed spatially in any configuration. If, instead of a point or a sphere, the charges are distributed in a linear fashion so that the length of a charged area is much longer than its width or diameter, it can be shown that the electric field surrounds the linear shape like cylinders of equal force potential, and that the field from this configuration decreases with distance from the configuration as the inverse of the distance (not the inverse square of the distance) from the centerline. This is important in studying the effects of electric and magnetic fields in filamentary currents such as lightning strokes, a plasma focus, or large Birkeland currents in space. Remember that the direction of applied force on a positive charge starts from positive charge and terminates on negative charge, or failing a negative charge, extends indefinitely far. Even a small charge imbalance with, say, more positively-charged particles here and more negatively-charged particles a distance away leads to a region of force or electric field between the areas of separated dissimilar charges. The importance of this arrangement will become more clear in the discussion of double layers in plasma, further on. Think of an electrical capacitor where there are two separated, oppositely charged plates or layers, similar to the two charged plates “B” in the diagram above. There will be an electric field between the layers. Any charged particle moving or placed between the layers will be accelerated towards the oppositely charged layer. Electrons (which are negatively charged) accelerate toward the positively charged layer, and positive ions and protons toward the negatively charged layer. According to Newton’s Laws, force results in acceleration. Therefore electric fields will result in charged particles’ acquiring velocity. Oppositely charged particles will move in opposite directions. An electric current is, by definition, movement of charge past a point. Electric fields therefore cause electric currents by giving charged particles a velocity. If an electric field is strong enough, then charged particles will be accelerated to very high velocities by the field. For a little further reading on electric fields see this. Electric fields and currents are more difficult to detect without putting a measuring instrument directly into the field, but we have detected currents in the solar system using spacecraft. One of the first was the low-altitude polar orbit TRIAD satellite in the 1970s, which found currents interacting with the Earth’s upper atmosphere. In 1981 Hannes Alfvén described a heliospheric current model in his book, Cosmic Plasma. 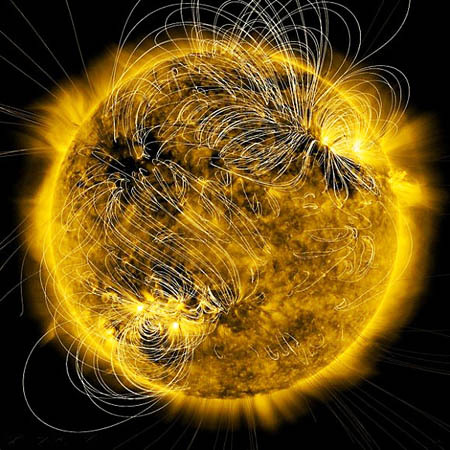 Since then, a region of electric current called the heliospheric current sheet (HCS) has been found that separates the positive and negative regions of the Sun’s magnetic field. It is tilted approximately 15 degrees to the solar equator. During one half of a solar cycle, outward-pointing magnetic fields lie above the HCS and inward-pointing fields below it. This is reversed when the Sun’s magnetic field reverses its polarity halfway through the solar cycle. As the Sun rotates, the HCS rotates with it, “dragging” its undulations into what NASA terms “the standard Parker spiral”. 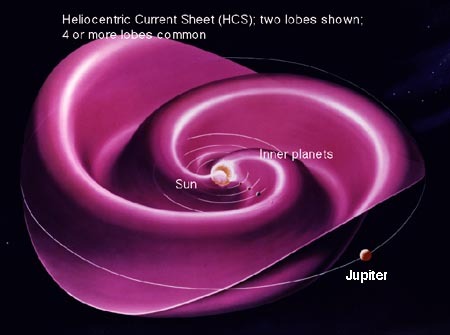 Some links to heliospheric current sheet sites are Wikipedia, NASA, this Mathematica demonstration, and the UK Solar Physics site. Spacecraft have measured changes over time in the current sheet at various locations since the 1980s. They have detected near-Earth and solar currents as well. The Gravity Model accepts that these currents exist in space but assumes they are a result of the magnetic field. We will return to this point later. Electric fields outside the reach of spacecraft are not detectable in precisely the same way as magnetic fields. Line-splitting or broadening in electric fields occurs, but it is asymmetrical line splitting that indicates the presence of an electric field, in contrast to the symmetric line splitting in magnetic fields. Further, electric field line broadening is sensitive to the mass of the elements emitting light (the lighter elements being readily broadened or split, and heavier elements less so affected), while Zeeman (magnetic field) broadening is indifferent to mass. 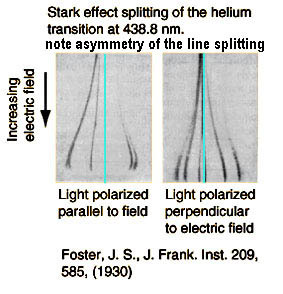 Asymmetric bright-line splitting or broadening is called the Stark effect, after Johannes Stark (1874–1957). Another way in which we can detect electric fields is by inference from the behavior of charged particles, especially those that are accelerated to high velocities, and the existence of electromagnetic radiation such as X-rays in space, which we have long known from Earth-bound experience are generated by strong electric fields. Electric currents in low density plasmas in space operate like fluorescent lights or evacuated Crookes Tubes. 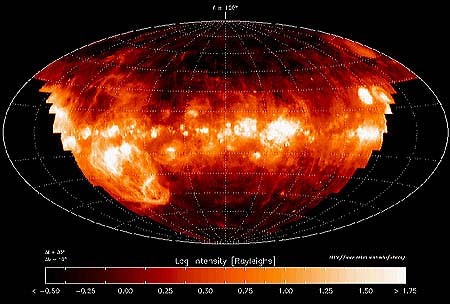 In a weak current state, the plasma is dark and radiates little visible light (although cold, thin plasma can radiate a lot in the radio and far infrared wavelengths). As current increases, plasma enters a glow mode, radiating a modest amount of electromagnetic energy in the visible spectrum. This is visible in the image at the end of this chapter. When electrical current becomes very intense in a plasma, the plasma radiates in the arc mode. Other than scale, there is little significant difference between lightning and the radiating surface of a star’s photosphere. This means, of course, that alternative explanations for these effects are also possible, at least in theory. The Gravity Model often assumes that the weak force of gravity multiplied by supernatural densities that are hypothesized to make up black holes or neutron stars creates these types of effect. 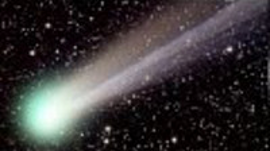 Or maybe particles are accelerated to near-light-speed by supernovae explosions. The question is whether “multiplied gravity” or lab-testable electromagnetism is more consistent with observations that the Universe is composed of plasma. The Electric Model argues that electrical effects are not just limited to those parts of the solar system that spacecraft have been able to reach. The Electric Model supposes that similar electrical effects also occur outside the solar system. After all, it would be odd if the solar system was the only place in the Universe where electrical effects do occur in space. 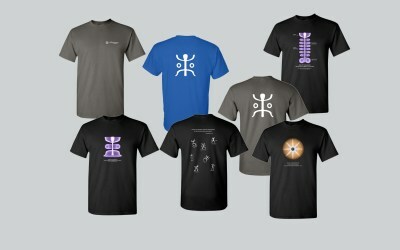 Anthony Peratt, capacitor, charges, Coulomb force, detecting magnetic fields, electric current, electric currents in space, electric field, electromagnetic force, electron beam, Faraday rotation, field lines, fundamental forces, Hannes Alfven, heliospheric current, Heliospheric current sheet, inverse square, Langmuir probe, magnetic fields, plasma, polarity, solar wind, Stark effect, synchrotron emission, vacuum of space, Zeeman. Bookmark.